Kent, Coppini did a great job on Judge Baylor and on President Burleson, no question about it. 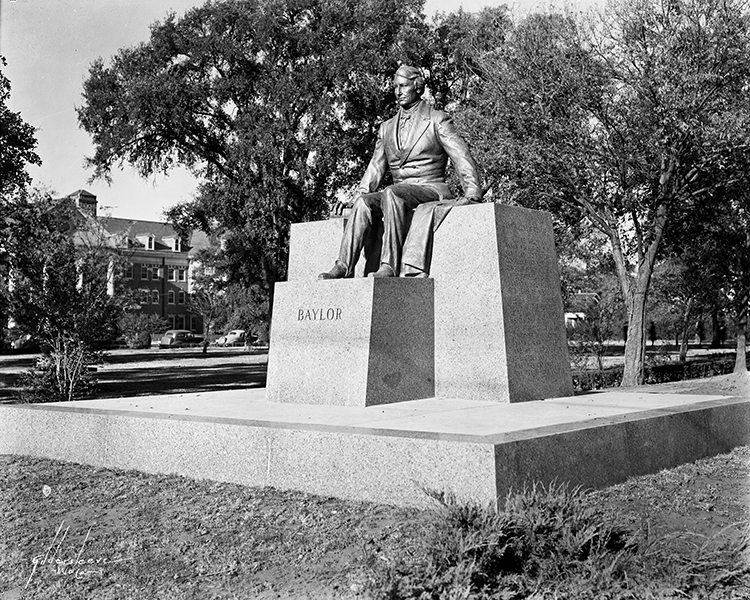 But do wonder what it would been like to have had a Borglum head of Judge Baylor carved in Cameron Park looking out over the Brazos towards the Baylor Campus. 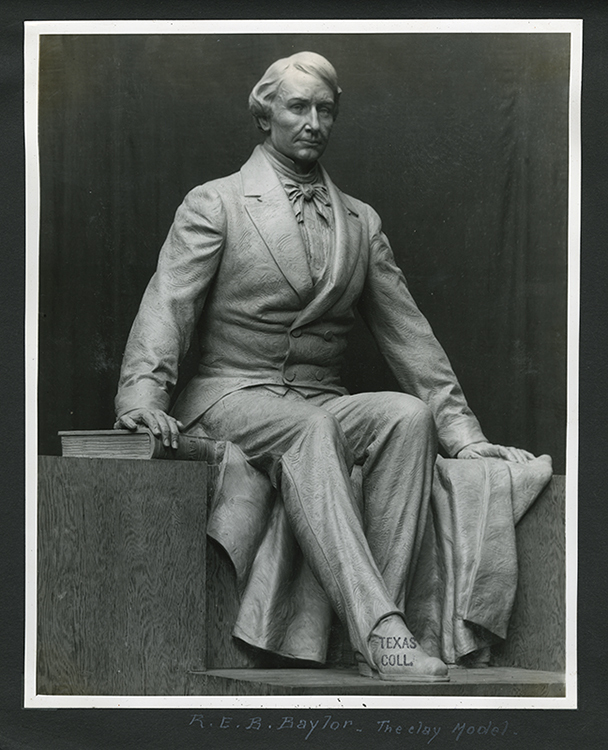 OK, probably not practical, but while we are talking about heads and statues, what about a full-figure statue of President Brooks somewhere on campus? This really is a glaring omission. The picture of Brooks in The Texas Collection is insufficient to memorialize this Baylor giant. 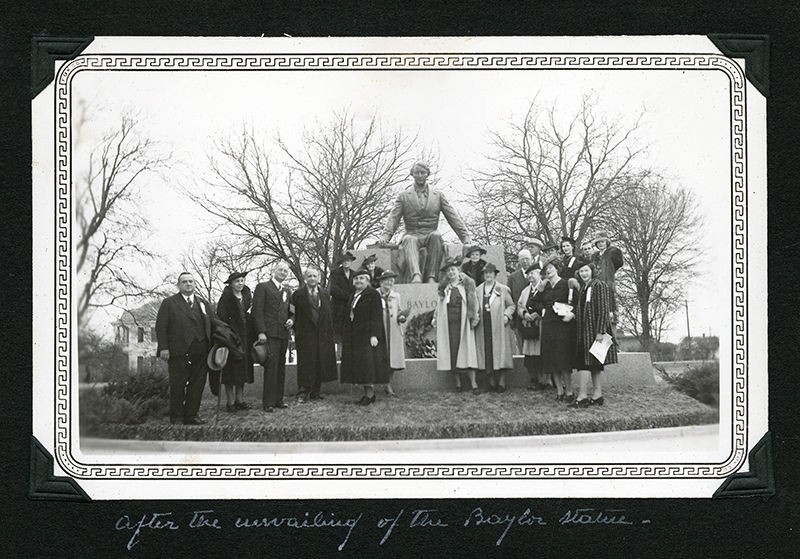 Brooks’ contributions to Baylor were so monumental that it would be great to have a statue in his honor! He does have a few other portraits and memorials on campus besides The Texas Collection portrait. 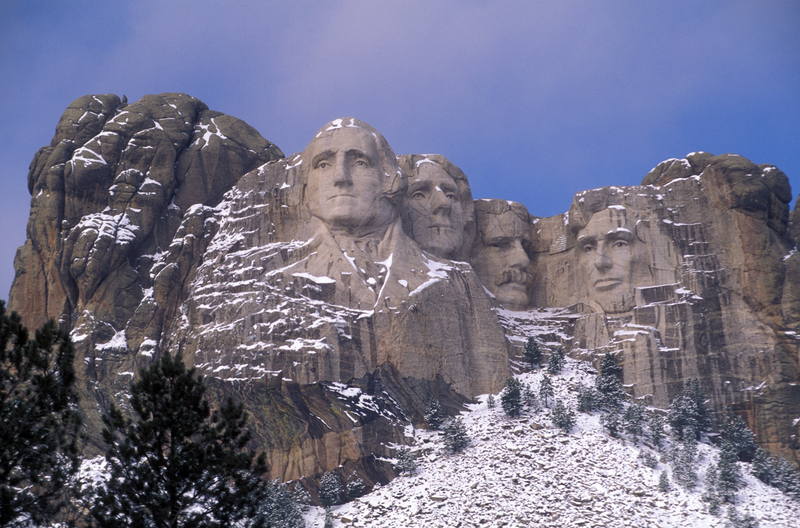 They’re primarily centered around Brooks Village—a bust in the entryway, along with a plaque of the Immortal Message, and there’s a full-size portrait in the Great Hall of Brooks Village. I believe he also is memorialized in Waco Hall.